The tree of life stands in the day and stands in the night. Musicians play under the tree all day and all night. Across time and space they sing to each other. Roots deep in the earth, sounds stretching into the sky as the branches reach for the heavens. 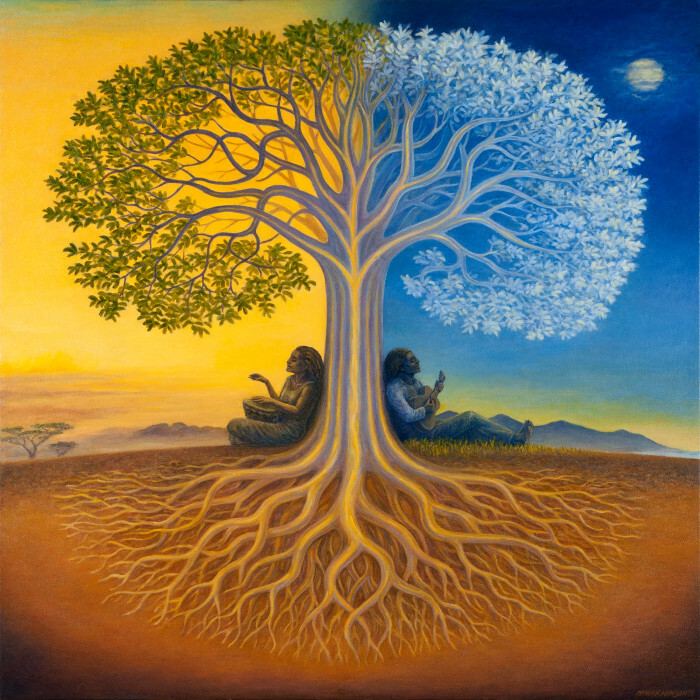 The tree of life stands in the day, stands in the night. Musicians play under the tree all day and all night. Roots deep in the earth, sounds stretching into the sky as the branches reach for the heavens.